Shipping out of the Northeast? 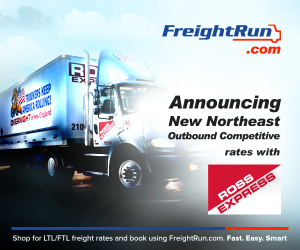 FreightRun now provides you with competitive rates from ROSS Express, a local shipper. Shop for competitive LTL/FTL freight rates and book using FreightRun.com. It's fast and our team of freight specialists is available to answer any questions via phone (1-888-577-9640), or chat with us online.